BALTIMORE, MD (March 26, 2019) – St. John Properties, Inc. has eclipsed the 50 mark for buildings that have earned certification from the U.S. Green Building Council (USGBC) for satisfying and surpassing Leadership in Energy and Environment Design (LEED) requirements in the development and construction of commercial office and flex/R&D buildings throughout the Baltimore-Washington, D.C. metropolitan region. 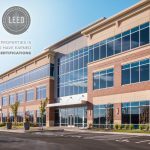 Since initiating its LEED program in 2009, the Baltimore-based commercial real estate company has developed nearly 3 million square feet of Gold, Silver or Certified space throughout Maryland, Utah and Virginia. Thirty-seven buildings have achieved LEED Gold status for core and shell representing nearly 75% of the total projects. In addition, nearly every new building constructed by St. John Properties is designed to earn LEED certification, including those built in Colorado, Louisiana, Nevada, Pennsylvania, Virginia, Utah, and Wisconsin. “It is not standard practice or common for many local developers to design single-story flex/office buildings to achieve LEED certification, but we have been able to successfully scale this concept across our portfolio and can definitively measure the dividends of this practice which extends to our mid-rise office product,” stated Jeffrey Gish, Senior Vice President of Construction for St. John Properties. 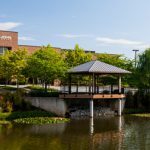 The most recent St. John Properties buildings to achieve certification are 8 Easter Court, a 31,560 square foot flex/office building and 10 Easter Court, a 39,120 square foot flex/office building, both located within Dolfield Business Park in Owings Mills and which earned LEED Gold status. 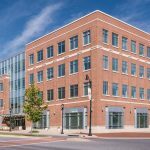 In addition, 6201 Greenleigh Avenue, a four-story Class “A” office building that was 100% leased by Stanley Black & Decker last year, was certified LEED Gold by the USGBC. 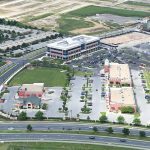 The 77,000 square foot building is contained within Greenleigh at Crossroads near White Marsh. All three buildings are located within Baltimore County, Maryland. 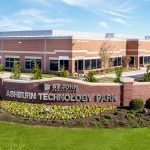 St. John Properties, Inc., founded in 1971, owns and has developed more than 19 million square feet of Flex/R&D, Office, Retail and Warehouse space in Maryland, Colorado, Louisiana, Nevada, Pennsylvania, Virginia, Utah and Wisconsin. 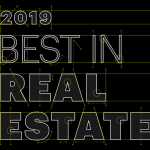 The company was named “2018 Developer of the Year” for the Nation by NAIOP, the Commercial Real Estate Development Association. For more information about the company and their green developments, visit www.sjpi.com/green.